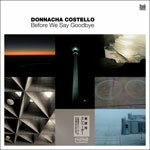 Steve Bug’s Berlin-based Poker Flat label publishes Donnacha Costello’s first album since the acclaimed Colorseries. It’s a tricky comeback; back in 2007, despite not being original with titles (Circulation did something similar with Colours), that work was considered a minimal and tech-house jewel. Apart from working on this new release, Costello has been busy in the last three years producing for his Look Long label and spinning music across global dancefloors with skill and taste, rare qualities among producers/wannabe DJs. Before We Say Goodbye comes days after publishing an EP with four songs that also made it on the LP’s final track list. Costello does not deceive, but the conceptual design of the album is not as immediate as Colorseries. Produced with few, mostly vintage machines (a Roland SH-101, a Prophet 5 rev. 2 and a NED Synclavier II), “played rather than programmed,” Before We Say Goodbye is not your typical Poker Flat release. It combines soulful ambient soundscaping, Detroit-influenced loops, and emotional ambient techno; textures are rich, keys are warm, and the masterful modulation of drum machine builds intensive climaxes. It’s old school that shakes hands with new school, it’s old machines and computer programming—Costello’s recognizable trademark. Buy Adipex Online Costello dedicates this album to travelers and commuters, creating the soundtrack for a short trip, emphasizing the joy of leaving and the sadness of coming back (or vice versa). Unsurprisingly, the best tracks in this album are the first and last ones, the start and arrival of a quick sound journey. Opening track “Leaving Berlin” kicks in with Detroit strings, emotive synths, and a loudspeaker sample from Berlin’s Schönefeld airport. “Last train home” is a simple emotional crescendo of warm pads, melancholic synth groove, and the announcement of a safe arrival home, this time in his native English. http://charlotteskitchendiary.com/2014/06/16/things-i-learnt-at-ballymaloe/?replytocom=128746 In between, deep dancefloor grooves are interrupted by dense melodies and soundscapes, some powerful and emotional, some not so brilliant. Undoubtedly, one hour (almost) of the same synthesizers discourages listening in one go. The best way to enjoy Before We Say Goodbye is by interrupting our journey every now and then, savoring the best memories on and on again.